A new legalization poll and some data on high school drop-outs implicates ignorant people, many from the South, in our ongoing and disastrous national experiment with cannabis prohibition. A Reason-Ruppe poll this week found that 49 percent of Americans favor pot legalization, versus 47 percent who don’t. Support correlates to education, the poll finds. And guess where those ignorant high-school drop-outs live? The Atlantic writes Wednesday that ‘The South is America’s Dropout Factory," using a graph to illustrate the wide swath of the southern United States where 75 percent or less of Americans are finishing high school. 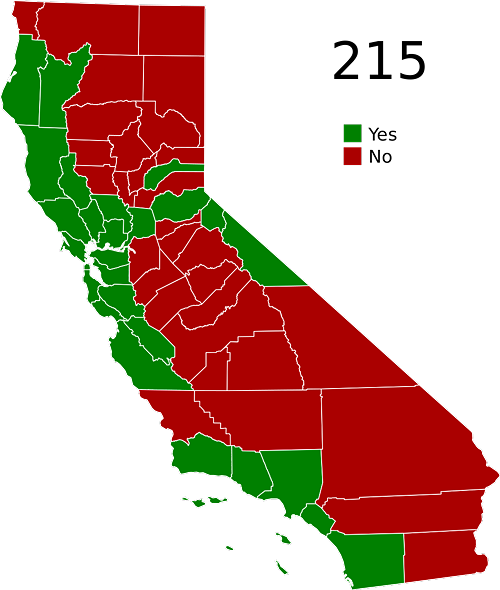 The California section of the high school dropouts map lays nicely over the map of California counties that opposed Prop 215 in 1996 and continue to enact i gnorant pieces of legislation to thwart the inevitable. The South also also has the highest obesity rates and death rates from tobacco smoking. So — who's volunteering to do some outreach in Mississippi?